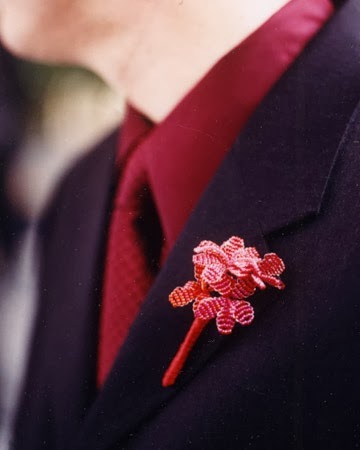 Boutonnieres are the ultimate finishing touch to a gentleman's outfit and provide a sense of style. Here are some tips on how to make sure that the guys in your wedding party look fantastic. Roses are the most popular flower for a boutonniere, but don't feel that you have to follow tradition. Other flowers that work well include stephanotis, tulips and orchids. If you are on a budget, carnations are a good choice. 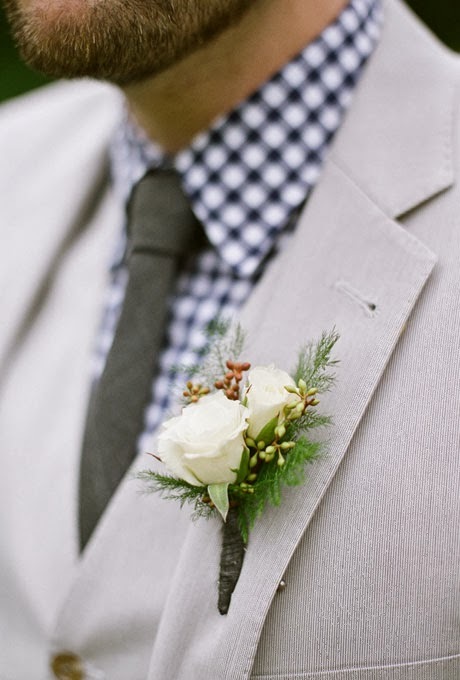 The colour of your boutonnieres can be chosen to either contrast or complement the colour of the groom's outfit. 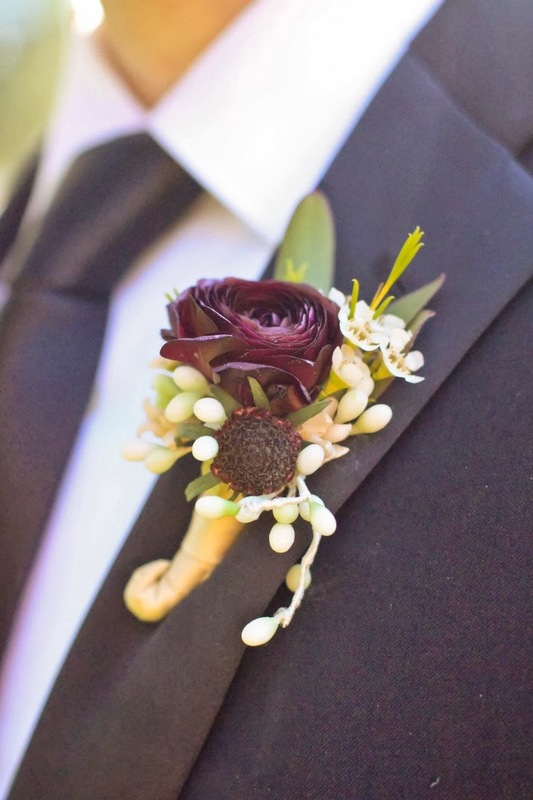 For instance a black morning suit with a burgundy cravat could be complemented by a burgundy boutonniere made from a tulip, calla lily or rose. Alternatively, you could arrange for boutonnieres to be made that mirror the flowers in the bride's bouquet. 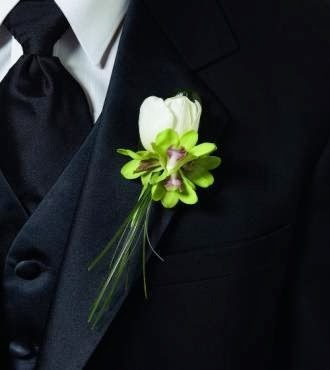 It is common for the bridegroom, best man, ushers/groomsmen and fathers of the bride and bridegroom to all have boutonnieres. Some couples also like to make boutonnieres available to all who attend the wedding ceremony, but this will be dependent on your budget. 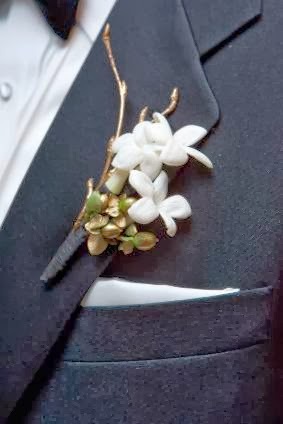 To mark him out as special, the bridegroom often has a slightly different boutonniere to the rest of the wedding party. It maybe a different colour, or the florist may put elaborate embellishments on it such as decorative beads, diamante, or additional blooms. 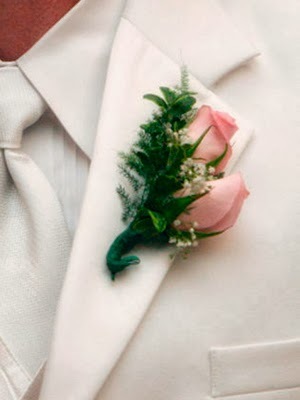 The boutonniere is worn on the gentleman's left lapel. 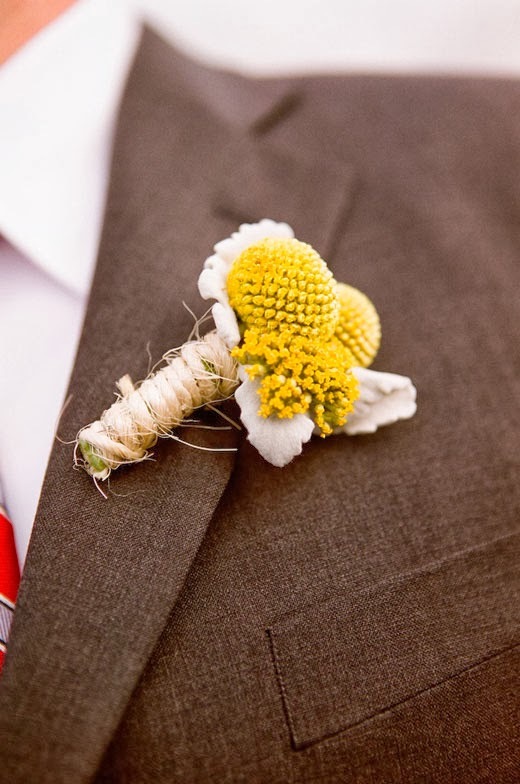 It should be worn on the outside of the buttonhole, and not in it. It is common to secure it in place by using a pearl-headed pin from the back of the lapel. 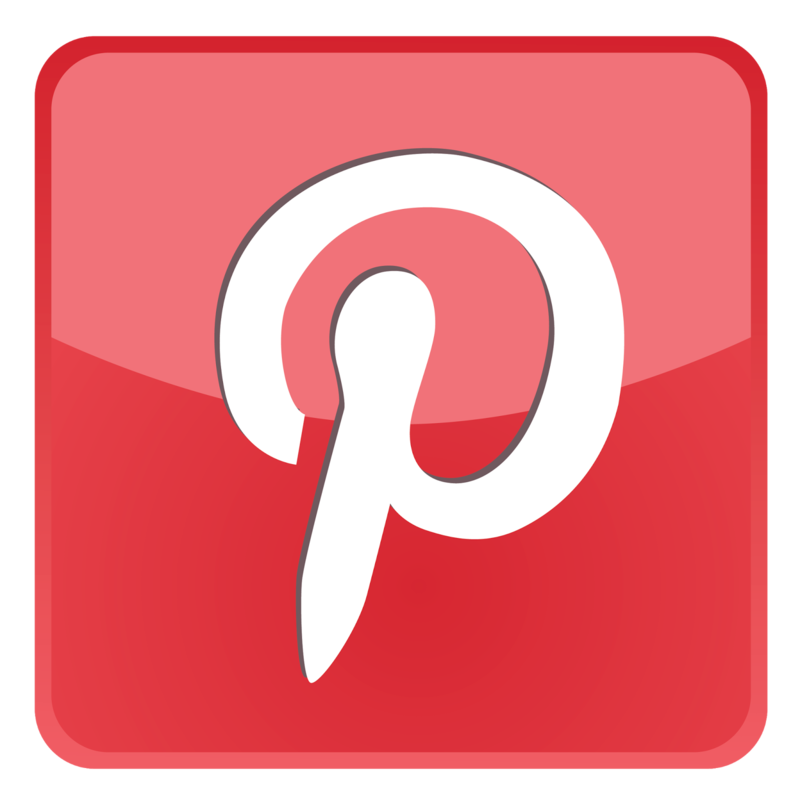 This can be done in such a way that the pin will then be invisible from the front. Weddings are generally focused on how special the bride looks. 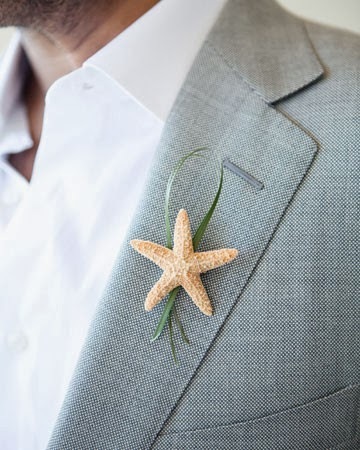 Boutonnieres are an inexpensive way to ensure that the groom looks and feels special too.